Karnataka boasts picturesque hilly retreats that are not only any nature lover’s wonderland, but also a paradise for wildlife explorers and adventurers alike. Here’s our pick of the top seven hill stations to visit in Karnataka, offering the perfect respite from everyday life. Situated in the Shimoga district of Karnataka, Agumbe is one of the most picturesque hill stations, known for its perennial rainfall, hence labelled as the ‘Cherrapunji of the South’. 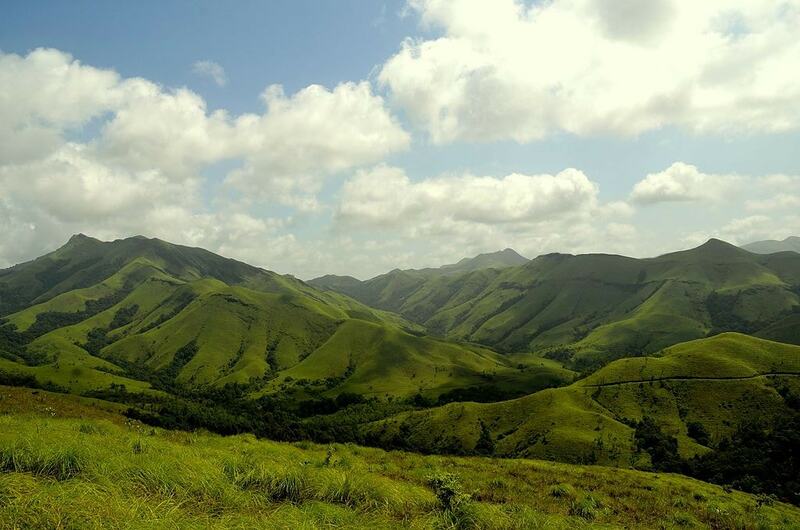 The scenic landscape encompassing Western Ghat mountains and waterfalls attracts trekkers and outdoor lovers. Alternatively, the verdant rainforest harbor diverse flora and fauna, along with a myriad of medicinal plants, which beckons wildlife enthusiasts and zoologists from across the world. Located in the Kodagu district, Coorg boasts a spectacular landscape with misty hills, lush green slopes and dense forests – a treat for the eyes, soul and the camera lens. Visitors can take a gentle stroll around the hill station, enjoy the relaxed vibe and connect with nature. There are waterfalls, national parks, temples and sprawling coffee plantations to explore. And adventurers aren’t left out in this hill station, as outdoor activities abound, from rafting in the Barapole river to trekking through the forest trail, rock climbing and angling. Declared as a natural heritage site by Karnataka Government, Kodachadri is a quiet and peaceful place, untouched by commercialisation. It is surrounded by gorgeous landscape, including dense forests, waterfalls and lush green Western Ghats, which provide hours of fun for the adventure lovers. 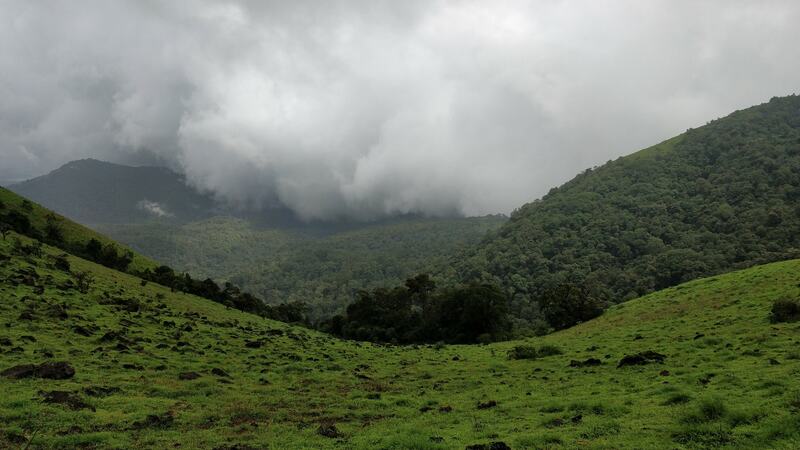 An unmissable activity is the trek to the Kodachadri peak. Aim to be at the peak during sunset, when the views are truly mesmerising. Alternatively, wildlife enthusiasts will be impressed by the diverse flora and fauna at the Mookambika Wildlife Sanctuary. Other must-visit attractions include the Sarvajna Peeth temple, Arasinagundi falls, Belakallu theertha waterfalls, and the 18th century Nagara Fort. 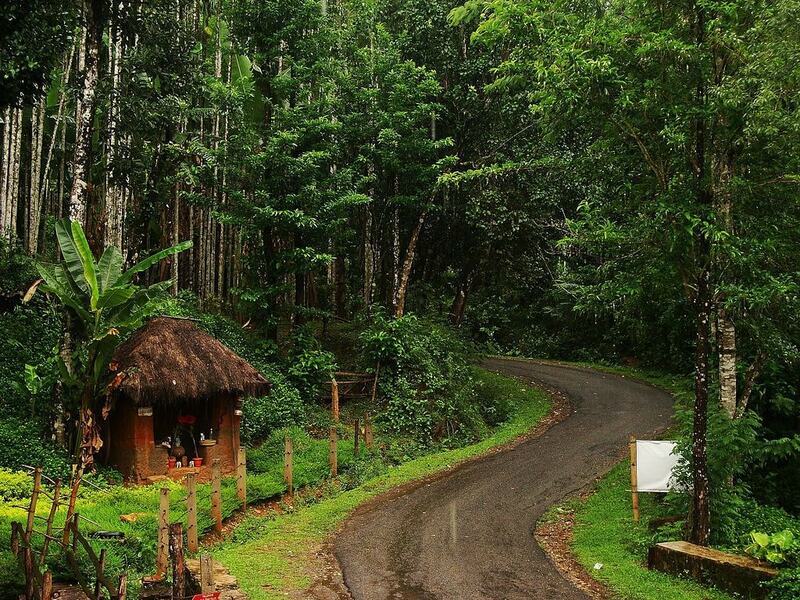 Located in the Western Ghats, Chikmagalur is synonymous with coffee production in India. This hill station has myriad of coffee plantations that are known for the production of Robusta and Arabica varieties. Epicureans with a penchant for coffee swear by its varieties, rich in aroma and flavour. The scenery is incredible, complete with lush green mountains, pristine waterfalls and undisturbed hiking trails, which makes it a great destination for nature lovers and adventure enthusiasts alike. 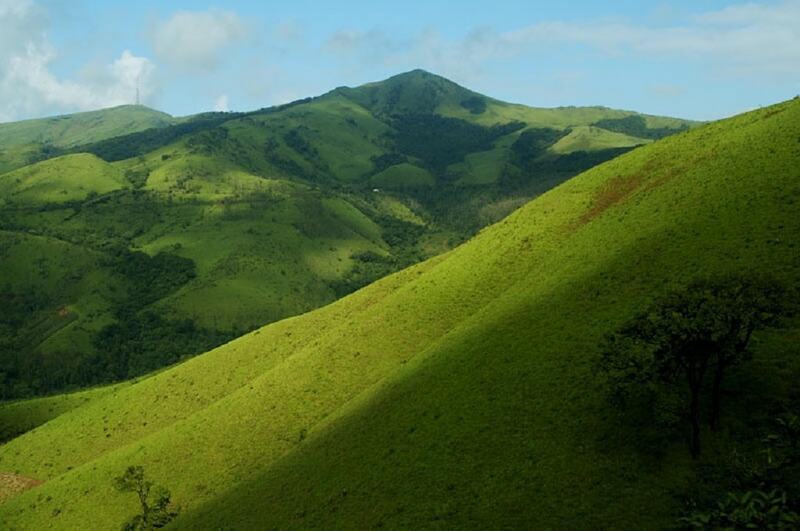 Must-see attractions include the Kudremukh peak, Baba Budangiri range, Mullayanagiri Peak and Bhadra Wildlife Sanctuary. Located in the Chikamagalur district, Kemmangudi is a nature-rich hill station, which makes for a perfect getaway for those seeking respite from urban chaos and who want to be at one with nature. The verdant landscape encompassing lush vegetation, cascading waterfalls and mountain streams not only provides awe-inspiring trekking opportunities, but also amazing scenery worthy of capture. One of the must-visit spot is the Hebbe Falls, which is not only the most beautiful natural sight, but also believed to cure skin diseases. Another stunning waterfall in the region is the Kallathi falls, which stands out with a temple that dates back to the Vijayanagar empire. Highlights also include the Z Point, which offers the best views of the sunset, Mullayanagiri peak, and the Rose and rock garden that is home to a variety of flower species. Nestled amidst the Western Ghats, Madikeri is an enchanting hill station that attracts nature lovers, history buffs and adventurers. The prime draw is the 17th century Madikeri Fort that houses a museum and a palace. Another highlights include the Raja Seat that features artificial fountains and gardens of flowers; the Omkareshwara temple that stands out with its Gothic and Islamic architectural style and fish-filled pond, and St. Mark’s Church. For the adventurers, there are several wondrous trekking routes, such as Nishanimotte, Pushpagiri, Brahmagiri and Kote Betta, all guarantee an epic adventure. 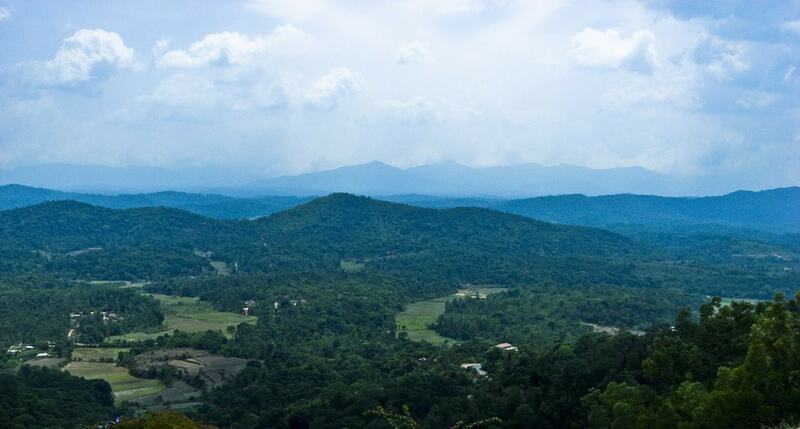 Also known as Biligiriranga Hills, BR Hills is one of the popular weekend getaways for people down south. It’s peaceful and far removed from the clutches of urbanity. The hills are teeming with flora and fauna, which makes it a must-visit for wildlife explorers, and the lush green hills and Cauvery river flowing through it makes it a perfect spot for trekking, river rafting and angling.